Happy weekend, y’all! I’m excited to show you the new line of home wares from the Woodland Collection by Tara Home at QVC! They sponsored this post and I was compensated for it, but all opinions are my own. Thanks, QVC! 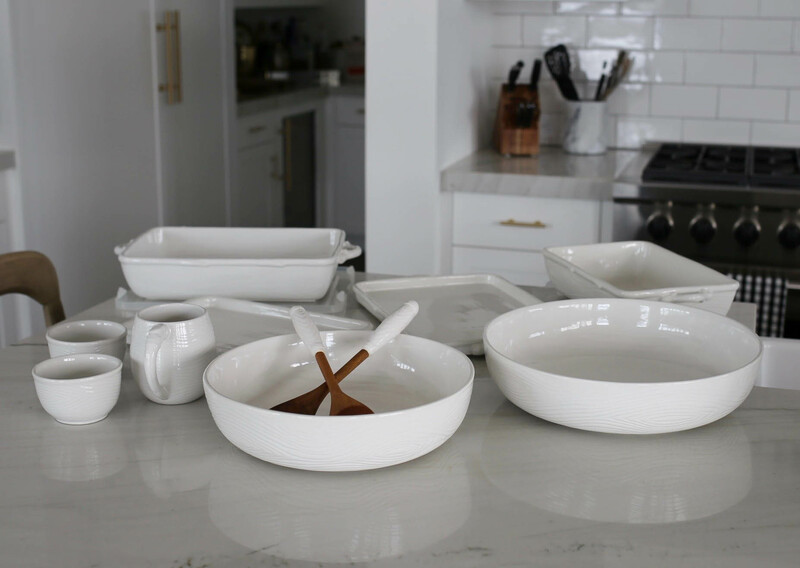 If you know me, you know I love to entertain and since moving into the new house, I’ve been looking for white serving dishes and cookware. I was so happy when I saw the Woodland Collection by Tara Home. It was gorg! Not only is the design simple and clean, but the prices are reasonable too! 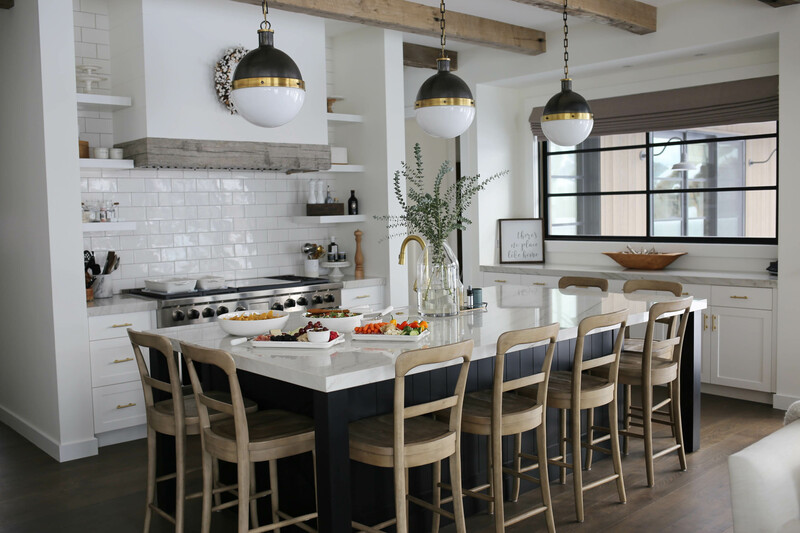 This collection is timeless and perfect for everyday entertaining. 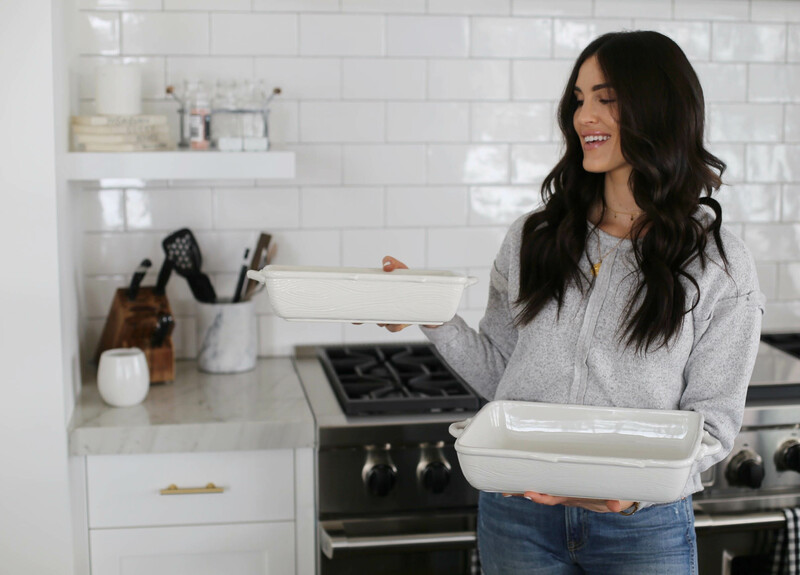 My two favorite items to use for appetizers are trays and bowls. This collection has both, with a small and large option of each. 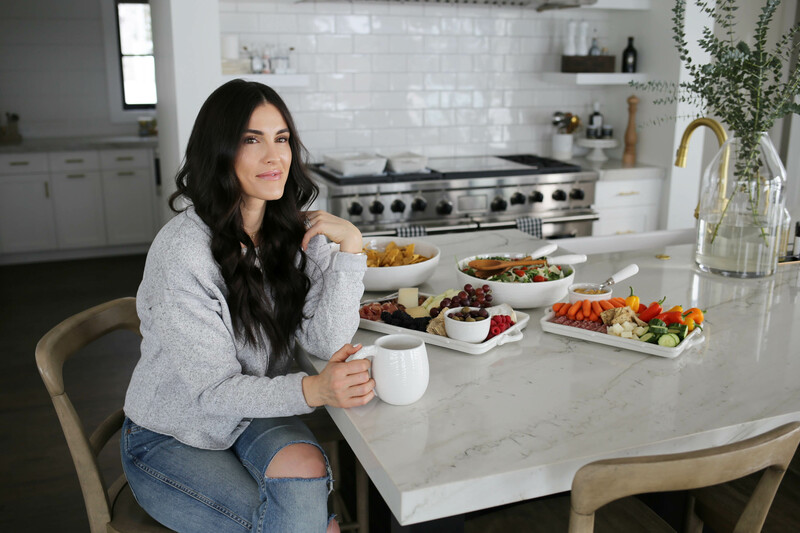 I utilized all of these to create some fun and easy appetizers. Superbowl and Galentine’s Day Girls Night are around the corner and I am prepping for both. 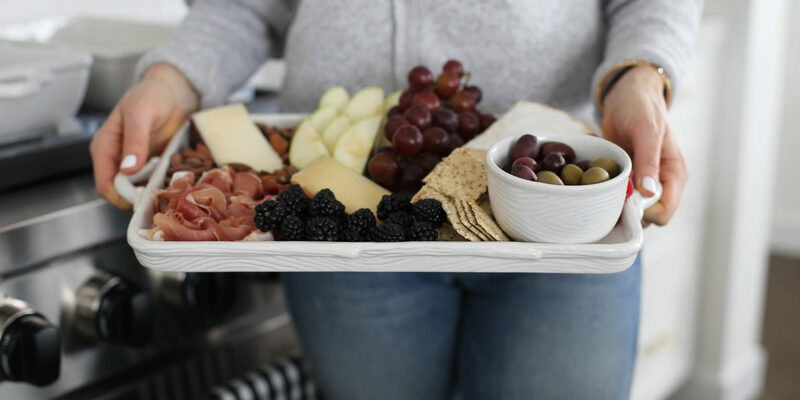 My go-to app is always a charcuterie platter. Don’t be intimidated by these beautiful appetizers. They are so easy to put together! 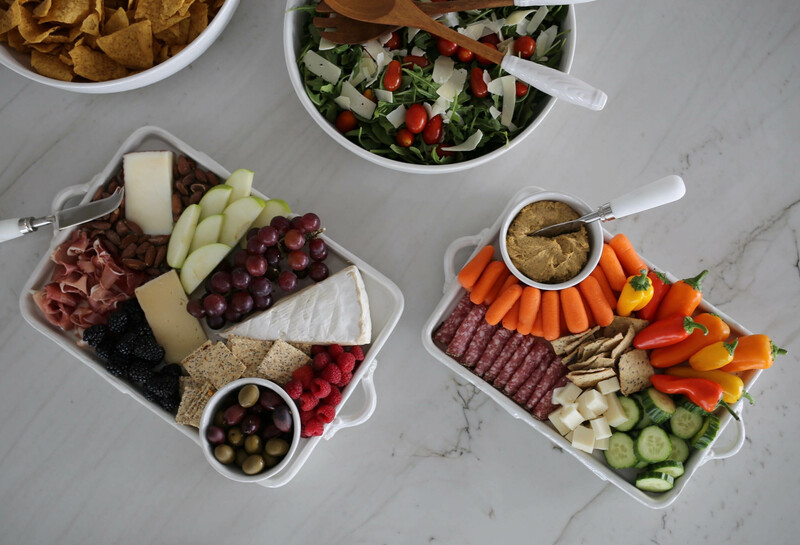 Charcuterie is great because no matter the dietary restrictions of your guests, there will be options for everyone. 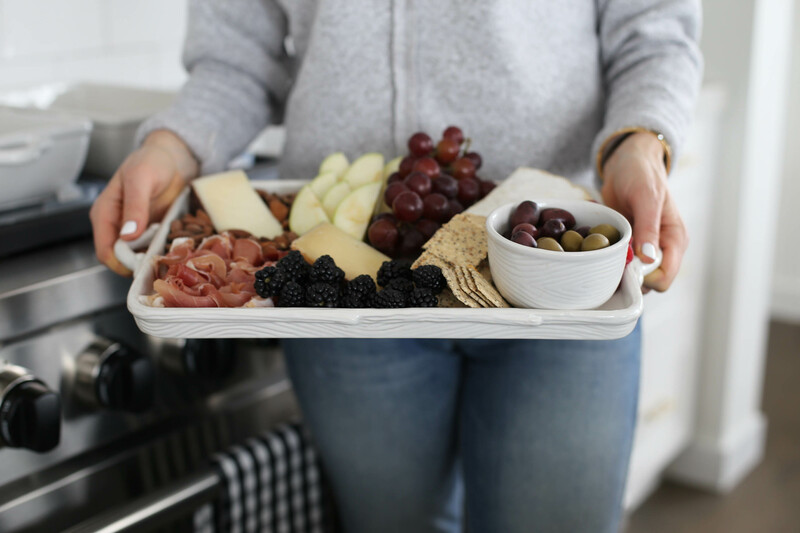 I always make sure I have the following mix of items on the tray: fruits, nuts, meats, cheeses, crackers and/or bread, veggies, dips (hummus) and olives. 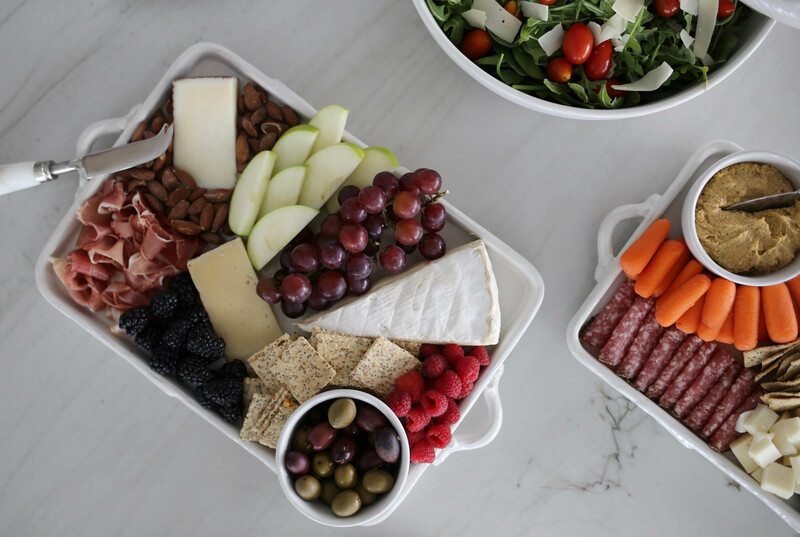 I took both of my new trays from QVC and styled two gorg charcuteries using all of these foods. Have fun with it! 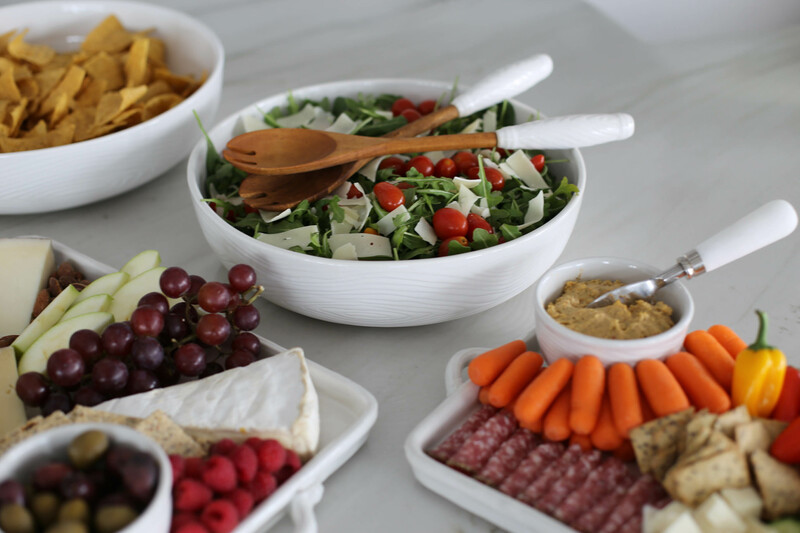 I then utilized my new bowls for two more easy appetizers – chips and a fresh salad. You can never go wrong with chips paired with salsa and guacamole. Healthy options are always appreciated by guests, and this is why I like to whip up some kind of salad. I tend to do a simple green version or a quinoa option. 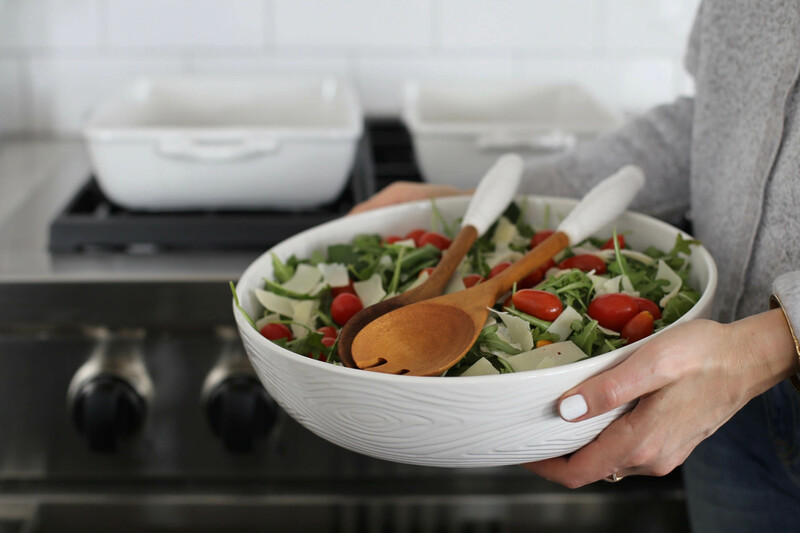 Today, I put together a green salad using arugula, cherry tomatoes, shaved parmesan and my lemon dressing – recipe here. Voila, I’m ready to entertain! Now it’s your turn. 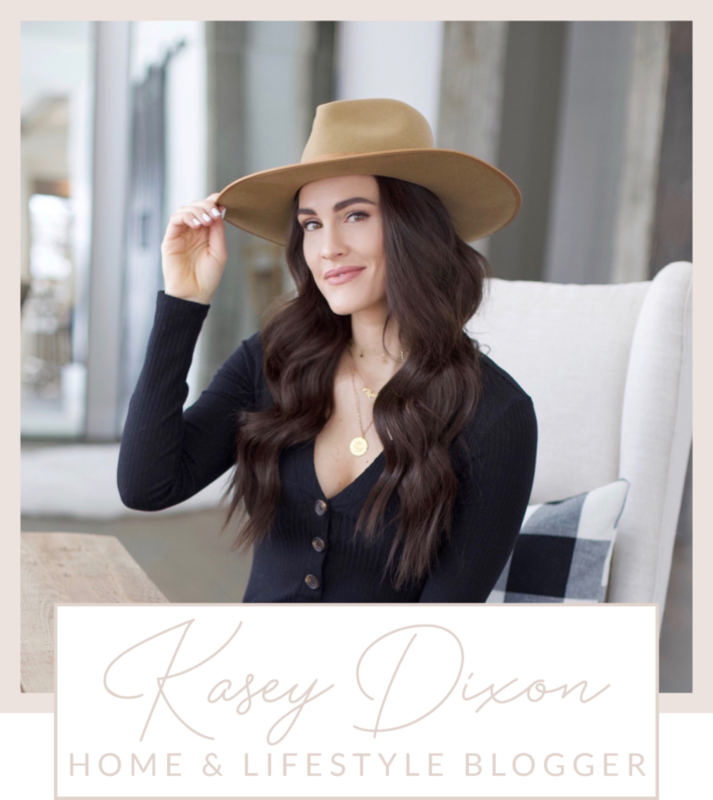 See below to shop the entire Woodland Collection by Tara Home and as always, leave a comment with any questions. 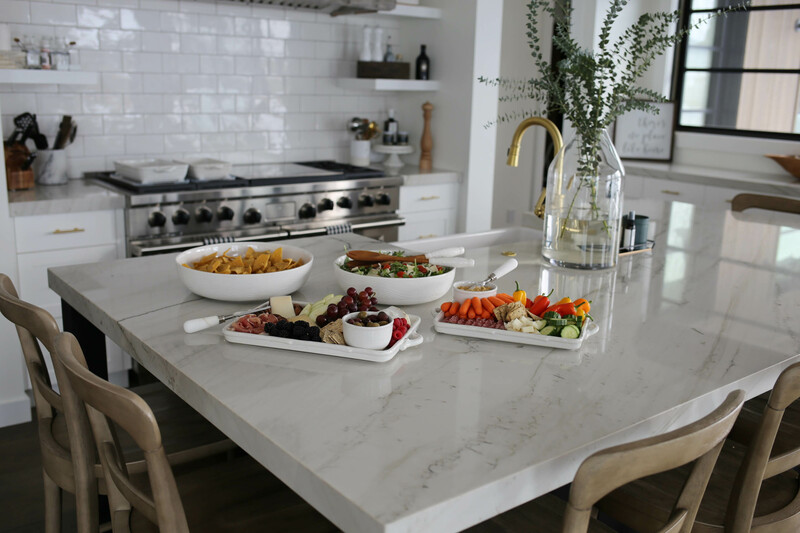 Share the post "Entertaining Made Easy || Appetizers"
Love the collection, perfect for my kitchen. Will definitely check QVC out!